Some Kinda Good is one. 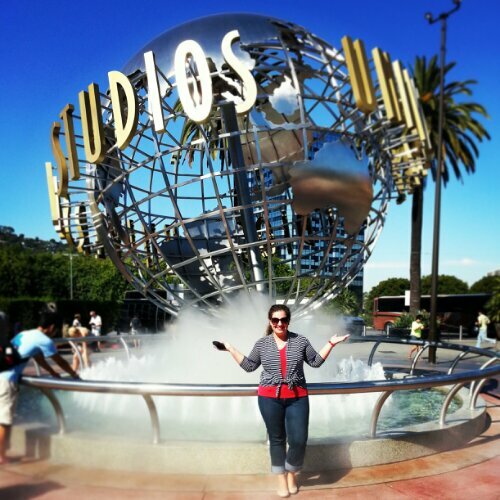 Happy Blog-iversary to me! I began blogging at a time in my life–the year was 2011, the month was November–when I needed to be fully engaged in something. 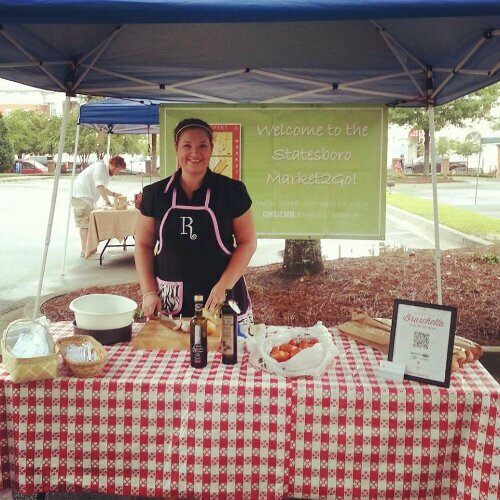 It’s amazing how the landscape of your life can change in a year’s time, and who would’ve thought blogging about crab legs and barbecue would’ve filled a hole I never knew was missing? Some Kinda Good’s original design by my friend, Amanda Hudson. 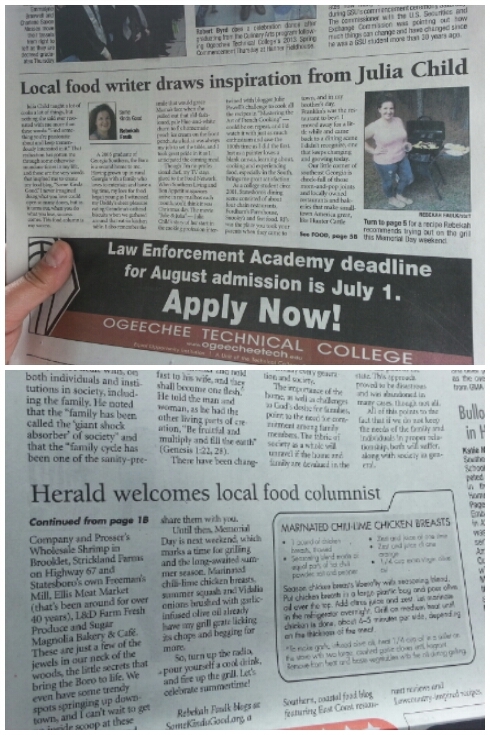 With a background in web writing and PR, I had all the skills in place. I set out to learn WordPress and gathered up some photos of the food I’d cooked. Not surprisingly, I had plenty of content at the ready, as though it had been stockpiled for its moment in the sun. Some Kinda Good’s current design by my friend, Tori Sprankel. 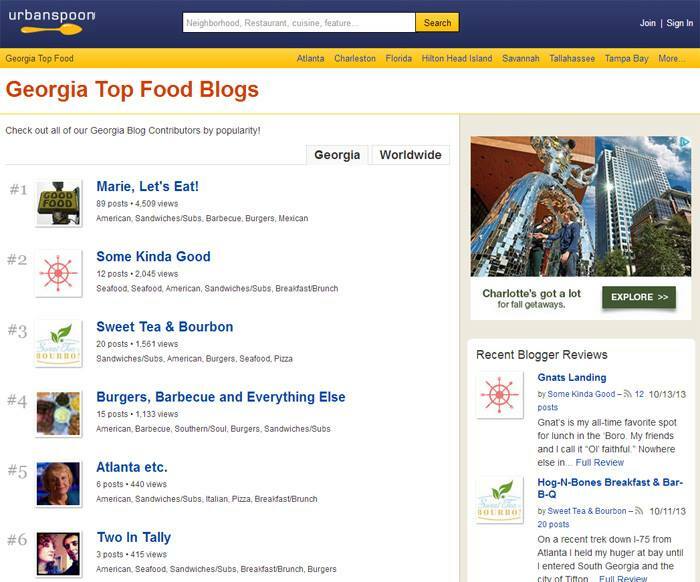 Throughout the year, I’ve built relationships with restaurant owners, food and beverage connoisseurs, food writers and other bloggers. I’ve gotten to meet notable cookbook authors, culinary producers, well-respected chefs and colleagues at food & beverage public relations firms throughout the Southern seacoast. I’ve also subscribed to Bon Appetite Magazine and become a sort of amateur kitchen expert among friends and family. 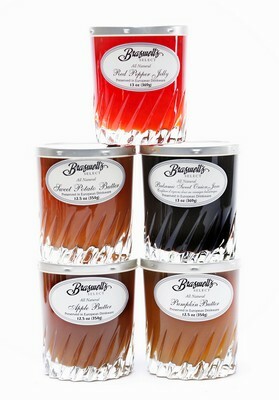 I’ve worked with ingredients I once considered foreign like, heirloom tomatoes and pimiento-cheese. I’ve sampled restaurant dishes I thought I would never order like fried chicken and waffles or an open-face whole egg omelet topped with goat cheese, sautéed shrimp, spiced pecans and arugula….for breakfast! I’ve learned to be true to me, that you can’t pursue a food trend because it’s a trend. 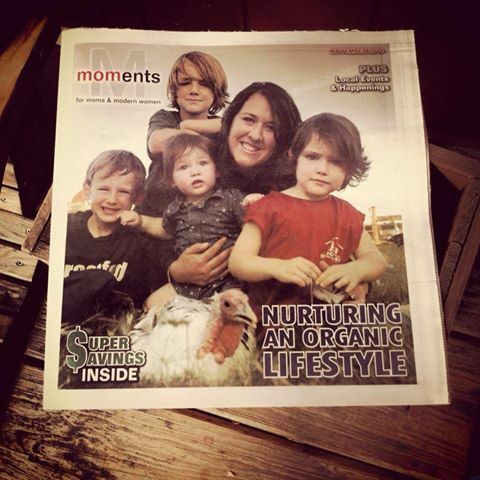 When I did that, I only did it for the sake of being popular, to show that I too was up-to-speed with food on a stick, kid food for adults and all things local and organic. While it was fun to experiment, those ventures lacked passion. And we all know without passion, the fire dies. All along, my philosophy has been guided by one thought from Julia Child who said, “Find something your passionate about, and keep tremendously interested in it.” I’m a firm believer that it’s never too late to do the things you love, and when you do the things you love, success comes. 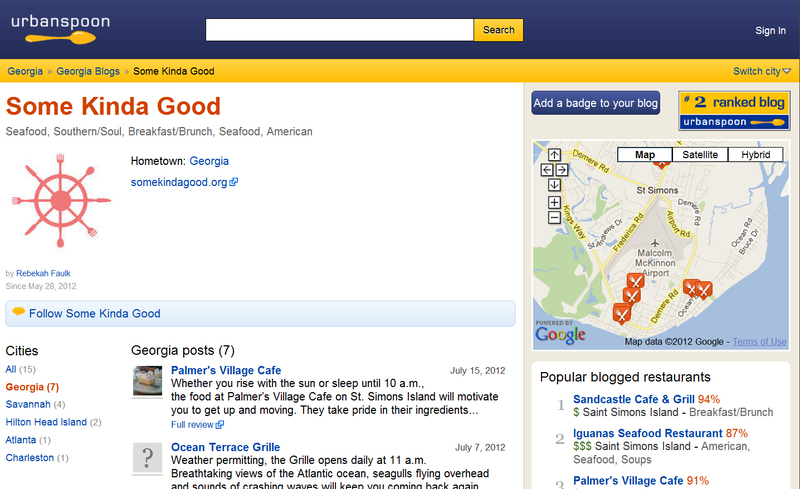 Some Kinda Good was ranked #2 on Urbanspoon’s Leaderboard of Top Georgia Food Blogs September – November 2012. 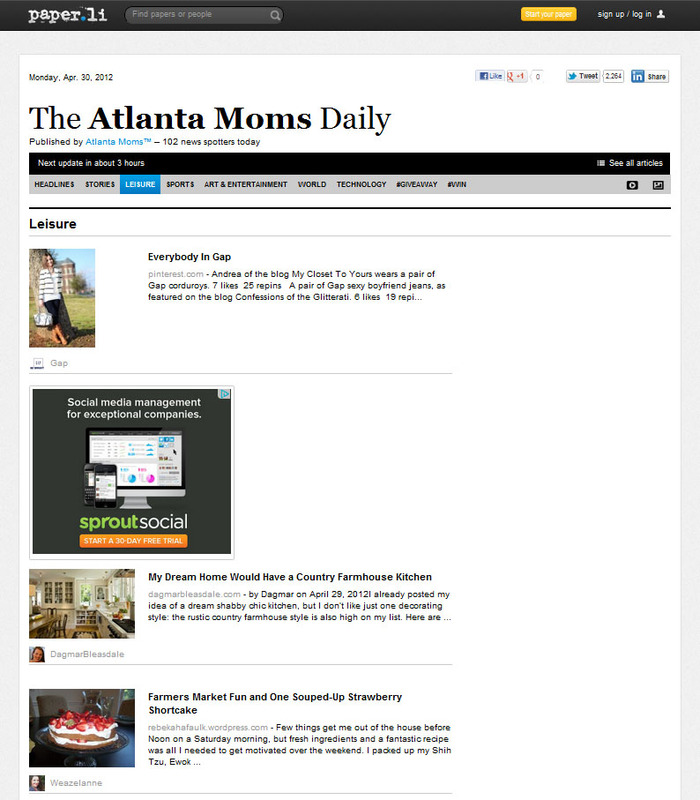 My Farmers Market Fun and One Souped-Up Strawberry Shortcake post was featured in The Atlanta Moms Daily on April 30, 2012. 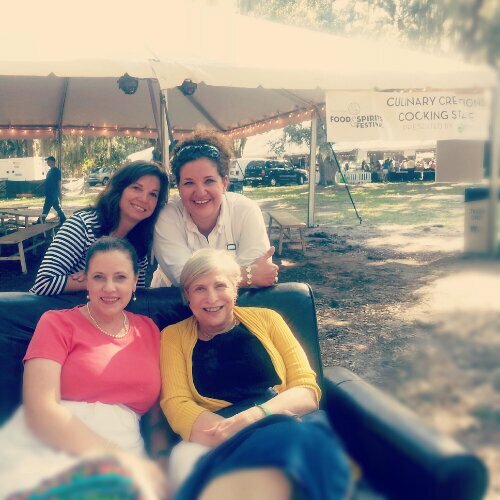 I got to meet Nathalie Dupree (bottom right) at the Inaugural Saint Simons Island Food & Spirits Festival in September 2012. Thanks to my mom and best friend Charity, who without fail were always the first to comment on my posts, even when the content lacked interest or when no one else cared. Thanks to my graphic designer friends, Amanda and Tori for giving my blog the exact look and feel I envisioned, as it progressed throughout the year. To Angela and Jennifer, my other best friends, thanks for all your encouraging words…your affirmation often kept me going. To my former co-workers and friends in the PR department at Floyd Medical Center, your belief in my abilities blows my mind. Thank you for your constant reassurance, for calling me out when my posts aren’t well beyond expectations and for holding me to the Class of Style standard. And finally, my favorite Twitter friends: @Golden_Isles, @VisitSavannah, @ClassicGeorgia, @Grocerize and @ChefCourtney13–y’all are always faithful to retweet my posts and I’ve gained many followers as a result of your influence. Thank you, really. With nearly 15,000 hits and a healthy following through social media, I’m pretty stoked. 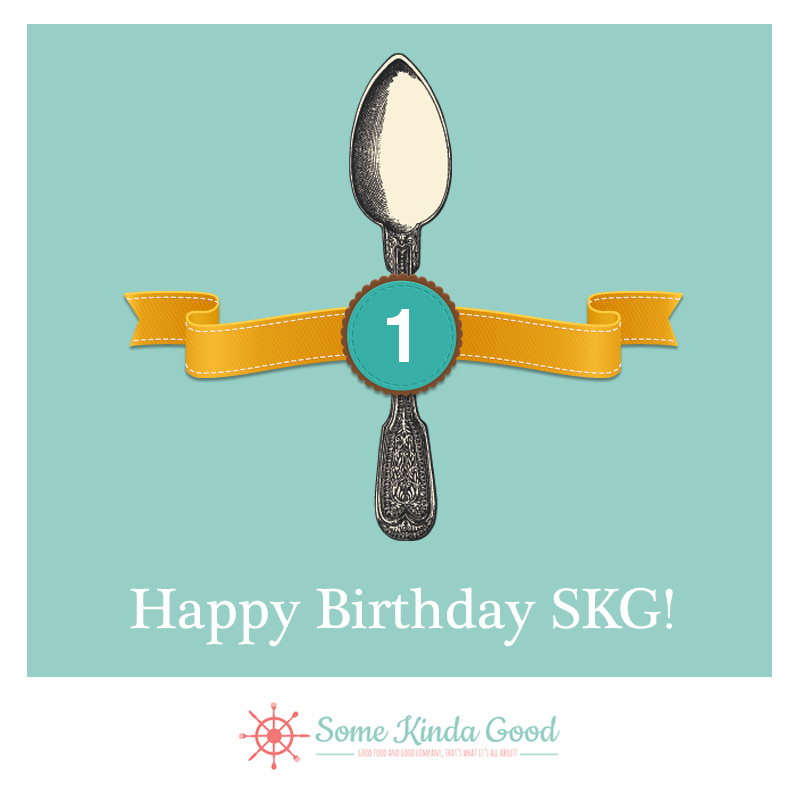 Not too shabby for my first year in the blog-sphere. Some Kinda Good is bringing my dreams to life. Maybe year two will include The Cooking Channel or Food Network. Dream big or go home! 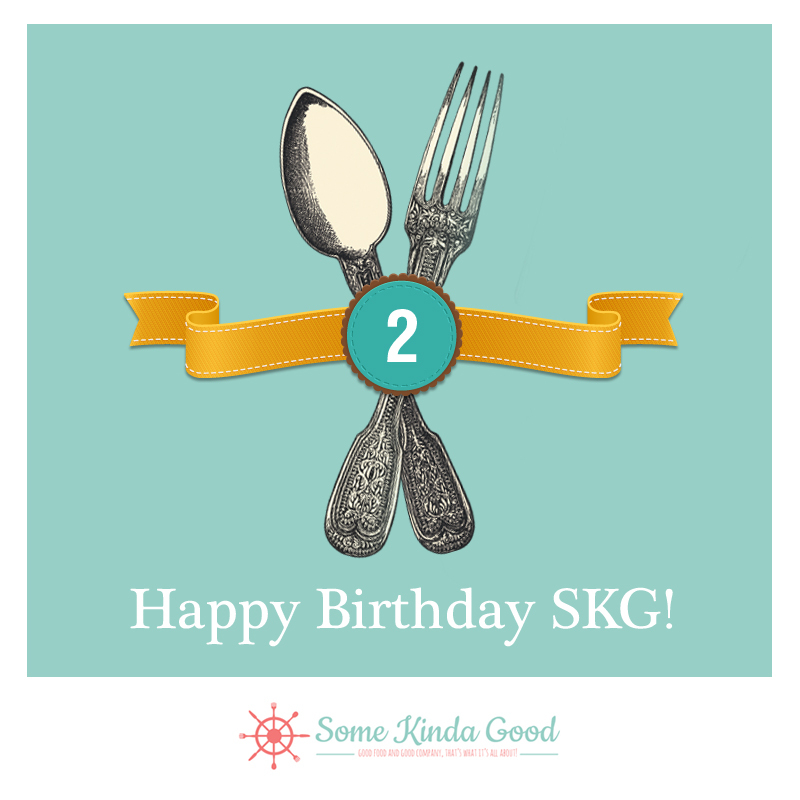 Follow @SKGFoodBlog on Twitter or find me on Facebook.